I got an idea for this mini on A Wyrd Place group on FB. A while ago a guy named AJ Miller showed his Ryle conversion, done using TTB bits. At that point, Ryle mini wasn't officially announced in the release schedule, so I decided to try doing something similar. I used mainly bits from the multipart set, but there are some additions from my old bits box (such as spikes on his head). 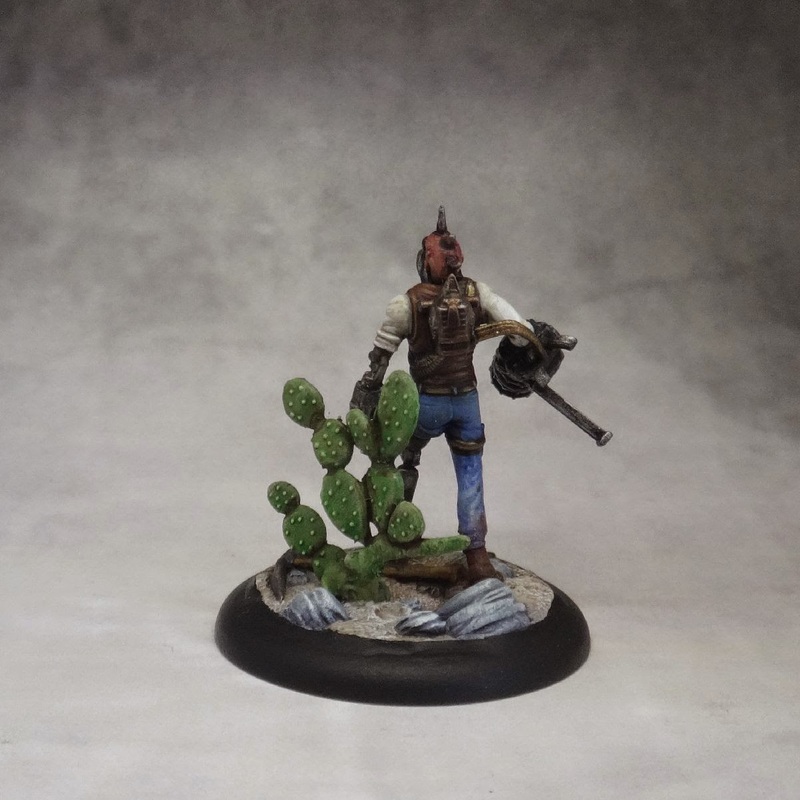 I plan to paint my Hoffman crew using a Western theme so I chose one of the Ghost Town Base inserts for Ryle. I added a cactus (from Pegasus hobbies set) as the base seemed a bit empty without it (I'd used the original metal one for my Lone Marshal). 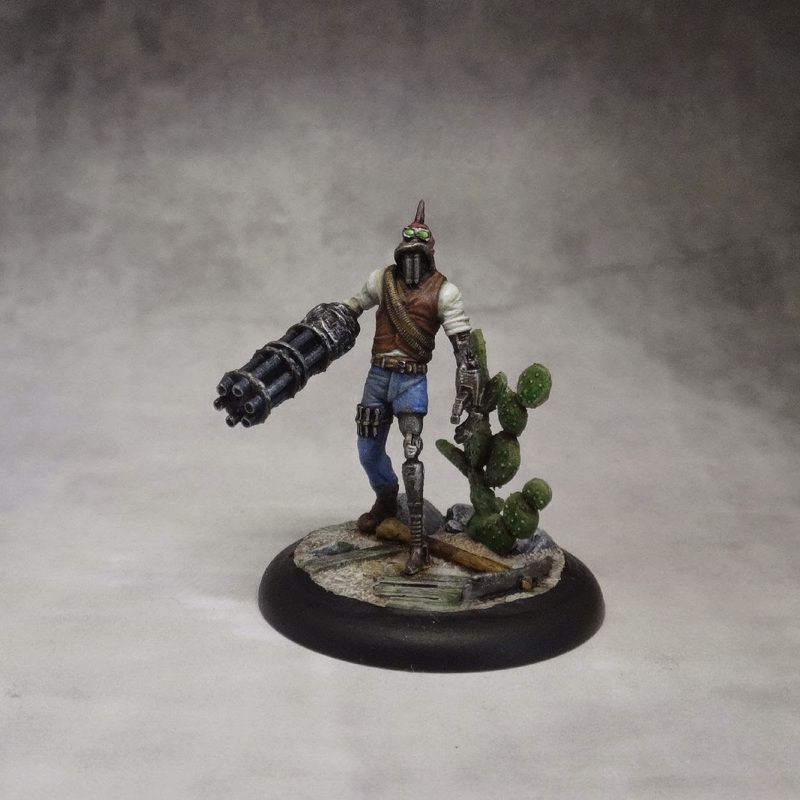 I do't really like the artwork and render for this model shown by Wyrd. Ryle seems a bit too bloated but I may change my mind when I see the actual model. 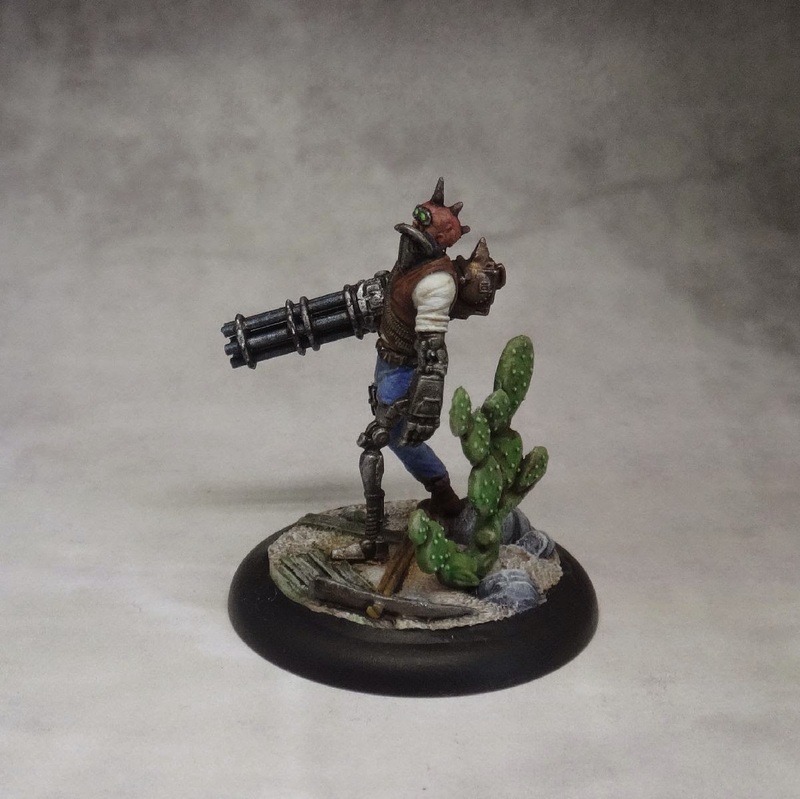 For now I'll stick to the proxy I've made (even though it's only slightly taller than a standard Malifaux Ht2 model). Earthside, Ryle was a brilliant engineer. 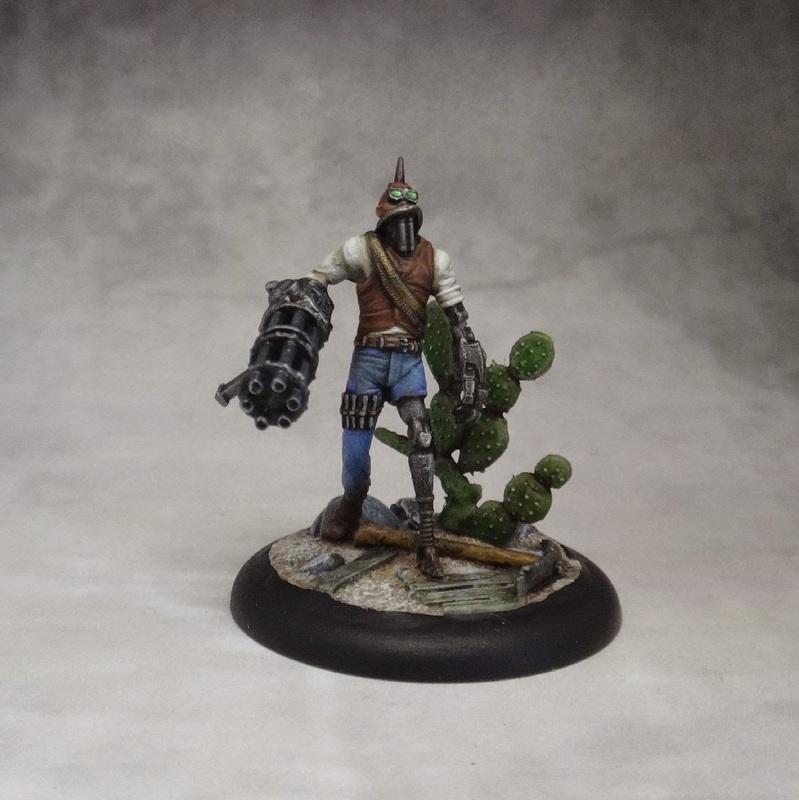 He traveled to Malifaux with his brother (C. Hoffman)to take advantage of opportunities offered there, hoping to unlock his considerable potential. However, going through the Breach caused huge damage to his body... and his brain. The brothers were rescued by Viktor Ramos and what was left of Ryle became a brainless, hulking mass of muscle and machinery. Ryle has 10 Wounds, which is very decent for a Henchman. He's also a construct so he naturally gets armor +1, which can even be improved by 2 more if a Tome is flipped for defense. It helps with his unimpressive Df of 4. He can also heal himself as a 0' action as long as he discards a card. His melee attack has a very good damage range and (typically for Guild), he is capable of getting a Critical Strike. He can also be a threat at range with his Modified Steam Gatling. He can fire it in bursts and with an extra Ram, he can shoot more than once using a single AP. Ryle's Wk 4 is very low, but he can always use his other 0' action to push extra 4 inches.